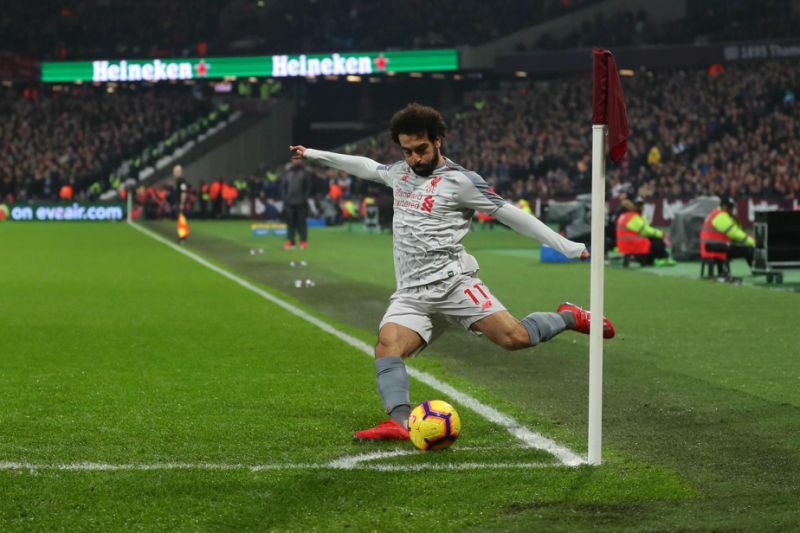 Mohamed Salah on Monday night, February 4, suffered shocking racial abuse in Liverpool's Premier League away draw at West Ham United. The Egypt international was about to take a corner against West Ham United when he was abused by the home fans who were at the stands. Salah was said to have being subjected to a torrent of vitriol about his religion which is Islam and Liverpool have launched an investigation into the incident. For now, the identities of those that made the calls has not been known, but footage emerged about the ex Chelsea star being filmed on a mobile phone. One supporter was heard according to UK Sun shouting: "Salah you f***ing Muslim, f***ing Muslim c***. F*** off." This attack on Mohamed Salah is the latest racial abuse in the Premier League as it will be recalled how a Tottenham fan was banned for life for throwing a banana at Arsenal star Aubameyang. Manchester City star Raheem Sterling was also abused in a match against Chelsea which led to the arrest of four Chelsea fans. This season in the Premier League, Mohamed Salah has played 25 games scoring 16 goals, and creating 7 assists for his club Liverpool. Earlier, Baba Newsline had reported how Mohamed Salah added another feather to his caps after being named the PFA Premier League Player of the Month for January. The Liverpool striker beat the likes of David de Gea, Paul Pogba, Marcus Rashford, Troy Deeney and Leroy Sane to win the award for a second month in a row.